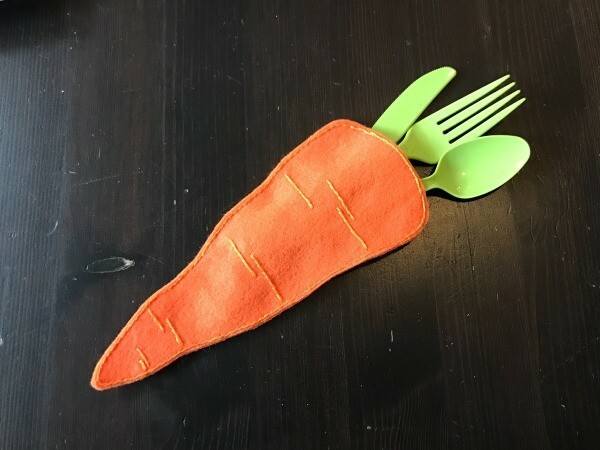 I recently made a felt carrot money pocket and thought I would try to find some other uses for the pocket. 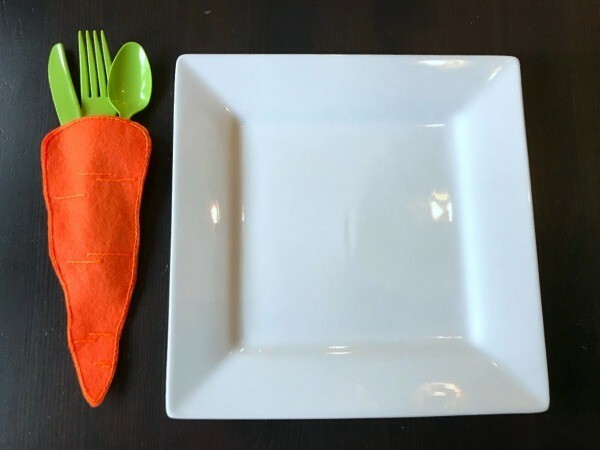 It makes a perfect utensil holder for an Easter party. Slip a set of green utensils into the pocket and use them at each place setting. 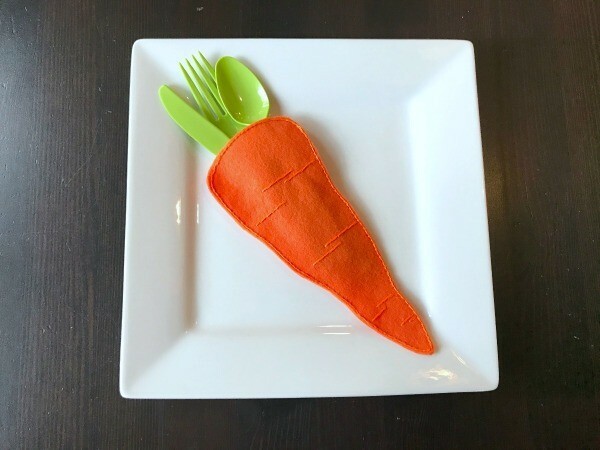 Click here for instructions to make the felt carrot pocket.